Ohh, the holiday season. Who doesn’t love the abundance of holiday baking, extravagant gifts, eggnog, and quality time spent with family and friends? The best part about the holiday season for team WJ? All the ambitious Christmas advertising. This is the time of year where retailers “make their money back” – literally. In 2013, North American’s spent US $3 trillion over the holidays, which reflects 19.2 percent of the sales from the entire year. Many businesses recognize their potential to bring in the big bucks over this short two-month period. You may have noticed that advertising efforts have been revved up, and large-scale marketing campaigns and holiday ads are everywhere you look. With a piece of a three trillion-dollar pie at stake, retailers know that spending a little extra on an innovative or touching campaign is worth it, even if it means getting the smallest piece of that pie. This year, businesses are using a variety of methods to reach their audience. Whether using emotion, humour, or visually-stimulating creative, here are just a few of our favourite holiday campaigns of 2017. Compelling Visuals: Asda – “The Imaginarium”; This advert follows a young girl and her grandfather as they enter a world of wonder – the Christmas Imaginarium. The one-minute ad is chock-full of bright colours, special effects, and grandiose ideas of Christmas come to life. This keeps viewers engaged and in a state of wonder as they anticipate what creative images will be in the next frame. 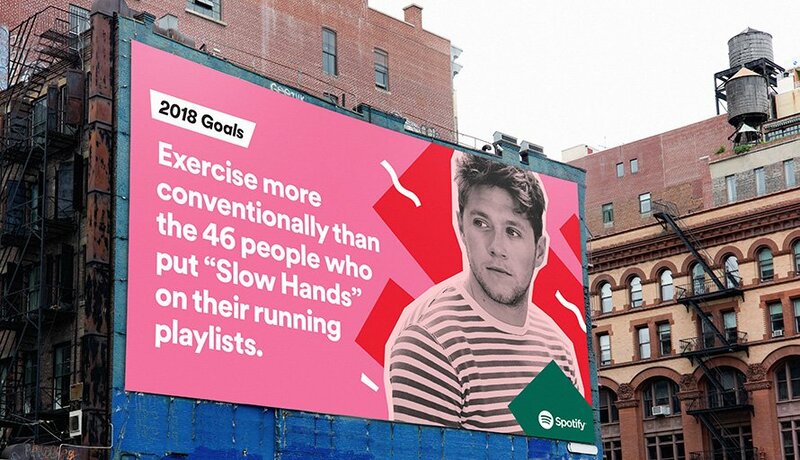 Humour: Spotify – “2018 Goals”; Humour is one of the most effective way of reaching Millennials, who are one of the largest generations in history, and who spend $600 billion a year. Spotify, an online music streaming platform, recognized that to get Millennials to pay attention to an ad, they would need to really entertain them. The campaign was entitled “2018 Goals” and featured witty one-liners such as “2018 Goals: Be as loving as the person who put 48 Ed Sheeran songs on their “I Love Gingers” playlist” and “2018 Goals: Take a page from the 3,445 people who streamed the “Boozy Brunch” playlists on a Wednesday this year.” Well done Spotify, well done. 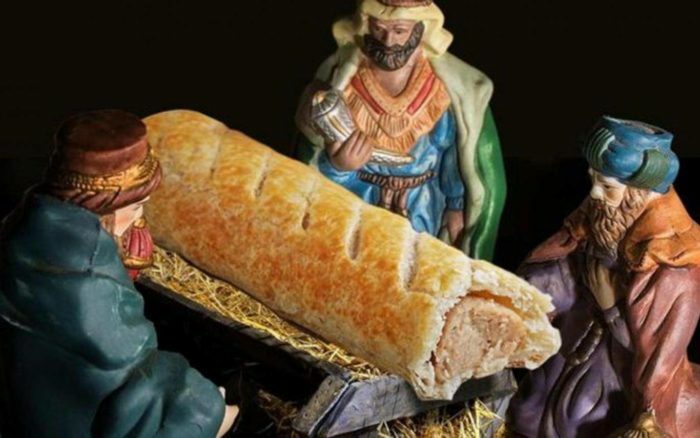 Controversy: Greggs – “Nativity Scene Sausage Roll”; Without question, a primary goal of any marketing is to get people talking, and by any means possible. Controversy is a tried-and-true tactic to accomplish this, and Greggs, the largest bakery chain in the United Kingdom, made it their mission to get tongues wagging. Greggs released their holiday campaign in November 2017, and it featured a nativity scene, with just one small difference – baby Jesus was replaced by a sausage roll. The ad went viral, with critics denouncing the ad as disrespectful, blasphemous and offensive. Blasphemous or not, it made the world aware of Greggs, so they haven’t entirely lost. Emotion: The Children’s Hospice – “#FirstChristmas”; This minute-and-a-half video meant to portray the “true meaning of Christmas” certainly pulls at the heartstrings. It depicts a couple who are experiencing their first Christmas since losing their son, and whether you have experienced this type of personal loss or not, it is difficult to watch this advert without being touched.